The Documenting Multifunction Calibrator is a highly accurate, portable hand-held calibrator providing functions and accuracy associated with fixed installation, laboratory instruments, and has everything needed for virtually any calibration task. 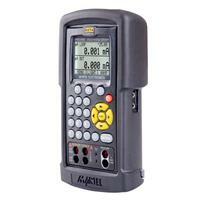 The DMC-1410 Calibrator fully documents any calibration easily while performing the normal job. No special software is required! It features the ability to test for pass/fail criteria, measure and simulate thermocouples, RTDs, current, voltage, and frequency, and source pulse trains. 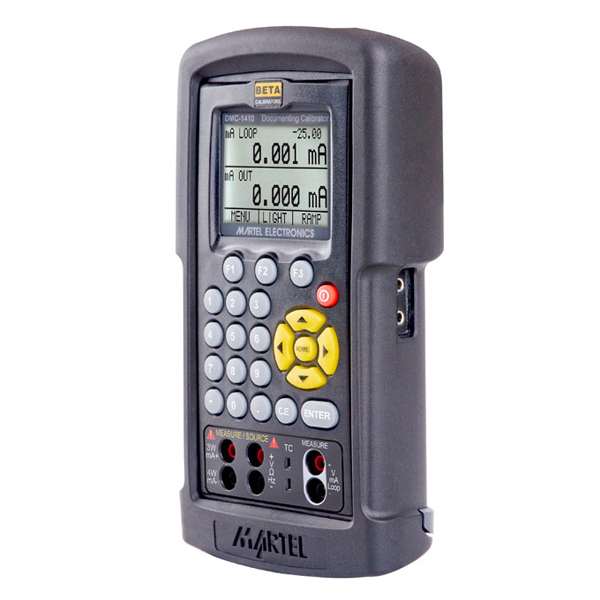 In addition, the built-in 250 Ohm resistor for HART compatibility with smart transmitters and PLCs, full fuseless protection, and a serial communications port for full control with ASCII commands.